Chelsea prepared to add Atletico Madrid shot-stopper Jan Oblak in this summer but Atletico Madrid rejected the offer. Thibaut Courtois joined Real Madrid and Blues wanted to add high-class replacement and their primary target was Jan Oblak but the deal failed. Finally, Maurizio Sarri signed Athletic Bilbao goalkeeper Kepa Arrizabalaga with a €80m deal. 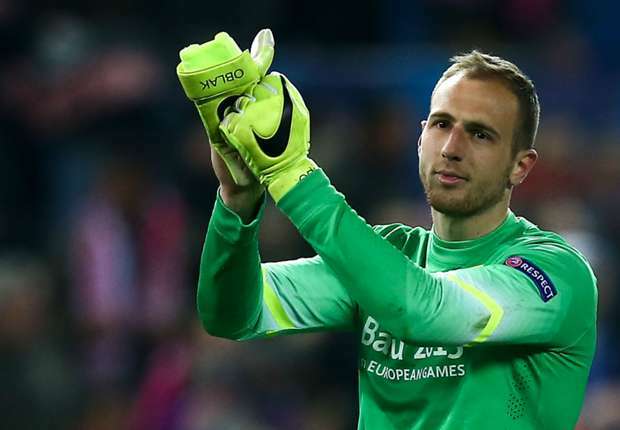 Oblak had an excellent season as he made many clean sheets and played 53 games in all competition. He won the Europa League with the club and preparing for the next campaign. Besides Chelsea, many big clubs also interested to sign him but Atletico will do everything to keep the shot-stopper. Wanda Metropolitano hosts the Champions League final next season and Simeone especially wants to win this competition. He made several fantastic transfers as he added Thomas Lemar and Gelson Martins in this summer. Jan is contracted with Los Rojiblancos until 2021 and his release clause is nearly €80m. Now Chelsea have to use Kepa for the next season as the transfer window closed and the Blues aren’t able to add another shot-stopper. Arrizabalaga is also a very talented keeper and he is only 23-year-old.